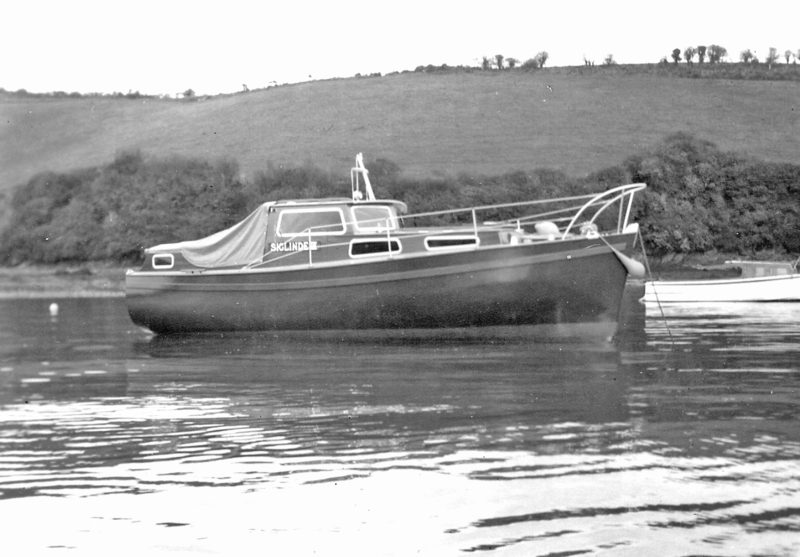 A 1970 Motor-Yacht designed and built by Edgar Cove Ltd. of Salcombe, Devon. 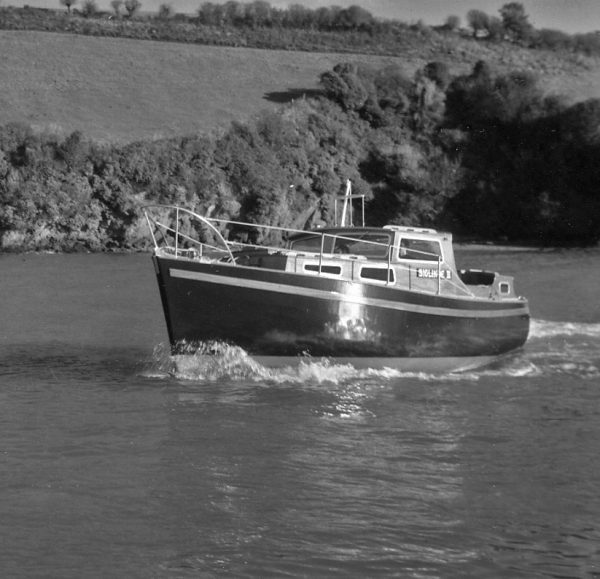 ‘Alice’ ex: ‘Siglinde III’ was probably the last motor-yacht commission undertaken by the well know South Devon yard of Edgar Cove before the yard closed in 1974. 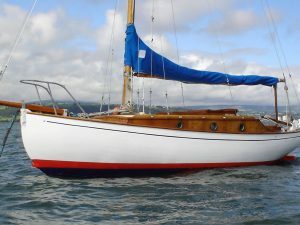 Edgar Cove built up a excellent reputation for quality workmanship evidenced by the many launches and dinghies which survive to this day. The black & white photographs are archive images taken by Edgar Cove in 1970. 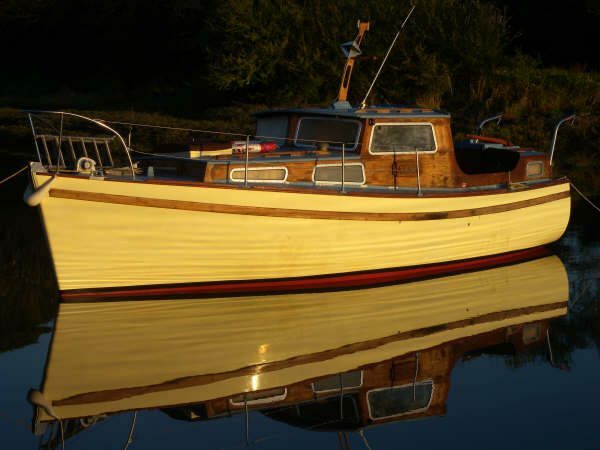 Carvel Iroko hull, copper fastened to steam bent Oak timbers. Varnished Iroko superstructure and internal joinery. 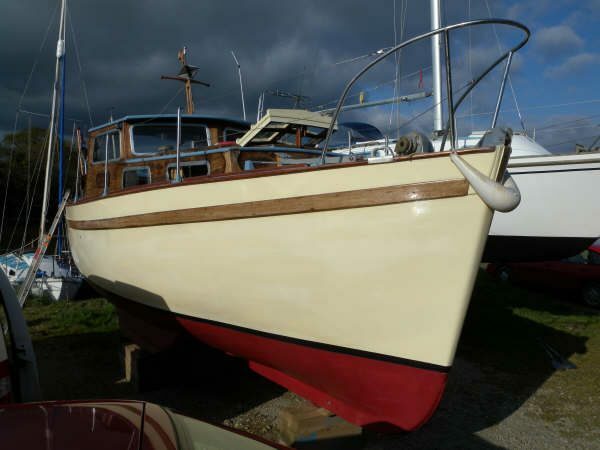 Sheathed marine-ply decks, Iroko brightwork. Four berths in two separate cabins. Forward heads compartment. 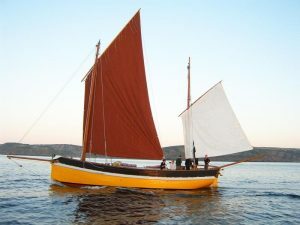 Galley with calor gas cooker, sink unit h&c, generous pantry and crockery cupboards. 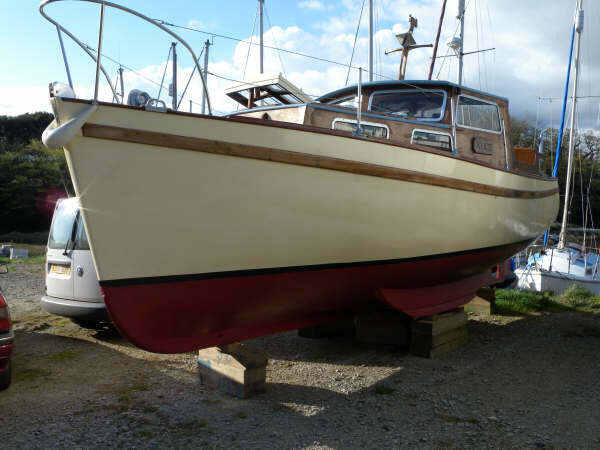 Saloon with two settee berths. 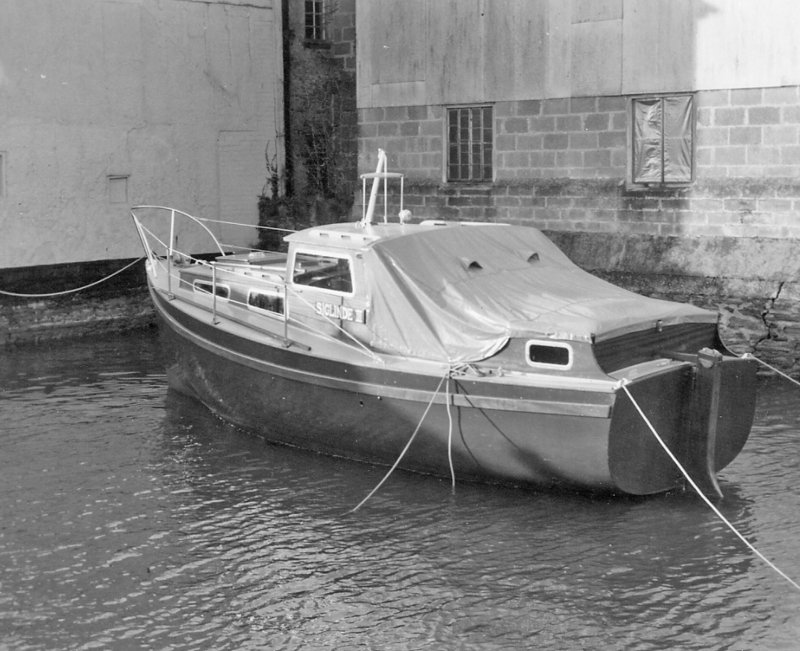 Wheelshelter with helm to port and engine controls and console. VHF radio, sounder, compass. 12 /240 volt electrics. Calorifier. Centre-line engine casing housing a 33hp Petter Diesel, shaft driven propellor. Cockpit with seating for four to six persons with removable circular table. 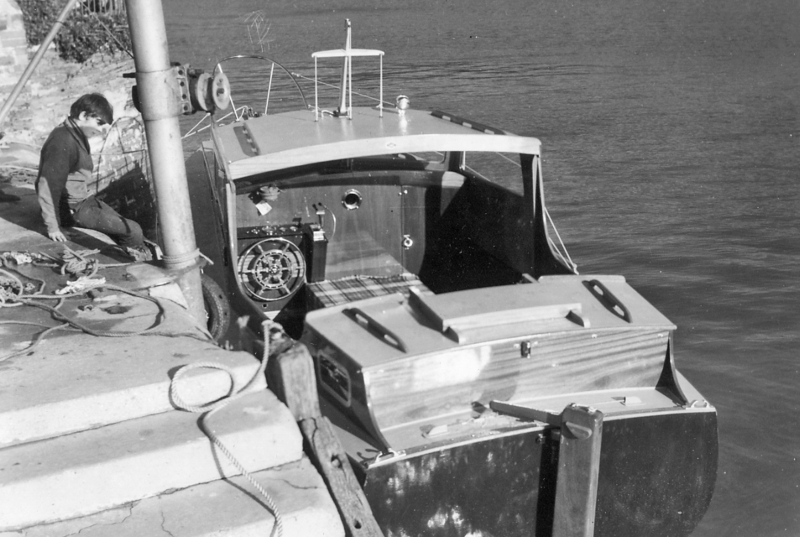 Aft cabin with twin berths. 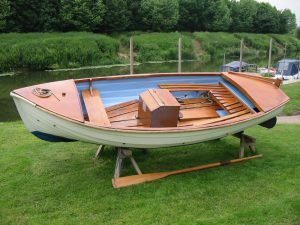 Transom hung rudder, bathing ladder and auxiliary 5hp Long-shaft Seagull OB Motor. 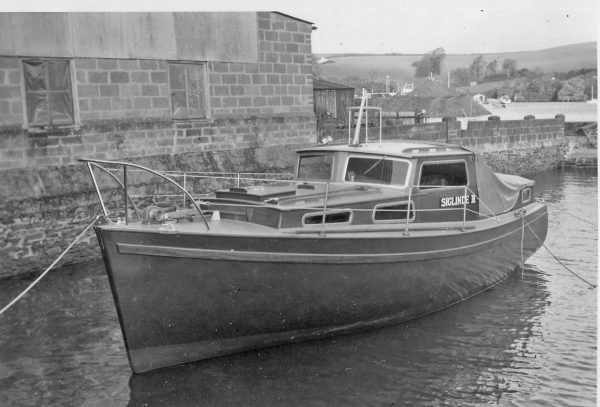 Stern davits, deck stanchions and pulpit, signals mast, tender. 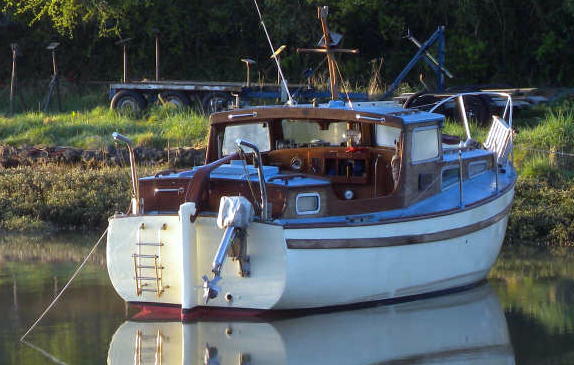 Deep water mooring available for 12 months in Devon Estuary. 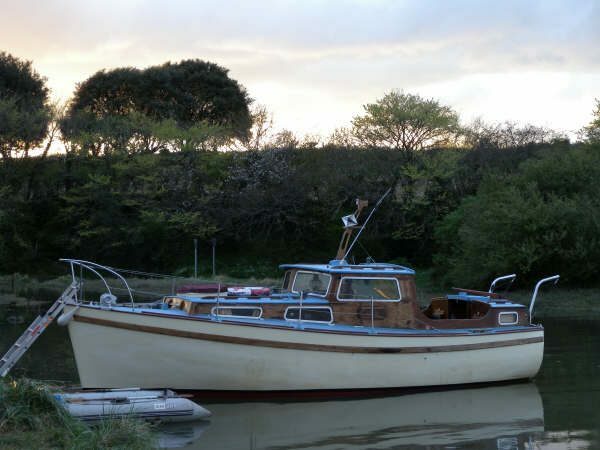 ‘Alice’ is an attractive, well built classic style motor yacht, which almost marks the end of an era of wooden boat building. Idea for coastal cruising, exploring estuaries and rivers, this capable and robust vessel will offer the next owner unlimited enjoyment on the water, completely fulfilling her purpose as she has done for the last forty years.